Put this in a folder where you can easily find it back. Name the folder for example tutorial 001. You can change it back to normal color now. 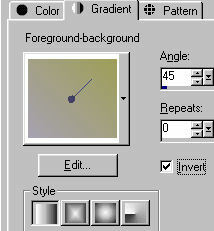 Select the tool Preset shapes. 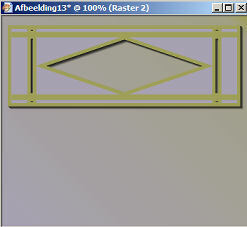 Select the shape R.
Drag a rectangle from upper left to the right almost all over your canvas. Make sure you have some space left on the upper part and the both sides. 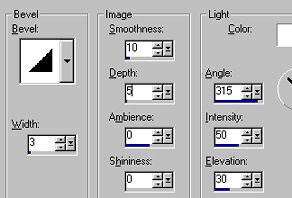 Select the preset shape R. again, whit the same settings as in step 2. Now drag a square from the middle of the canvas to right under. Left some space around it again. Effects - Texture Effects - Blinds - Width 6 en Opacity 24 - Color Black- Select hor. en light from left/above. Copy the tube and paste as a new layer in your image. Click with your magic wand in all white areas around the woman. By holding Shift you can select more pieces at the same time. You've got all the white pieces (also between the scarf)? Then hit Delete key. Layers - Arrange - Move downwards. The tube will now be under the square. Whit your Mover you drag the tube downwards so you can see the head in the window of your bottom square. Now you can still see something of the tube under de square. Erase this. Make sure you're on the right layer! Copy your tube again and paste as a new layer in your image. Remove the white areas again. 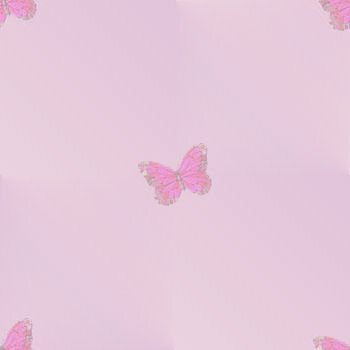 Effects - 3D effects - Drop shadow. 1-1-65-1. Repeat the drop shadow. You can stipulate the exact place for the tube later, after you've made the text. Select your text tool (A). Switch the for- and background color. You can do this by clicking on the half round arrows between the colors. This is the right size for 6 characters. Maybe your name is longer or shorter. You can change the size of the characters then. Type in your name in the text window that appears. You can see the characters on your image already and change it if you're not satisfied. The characters shall be vertical en has to be placed among the big square on the left site. Apply Drop shadow 2 times again. Put your tube on a place that you like. Make the border in the green background color. By clicking with the right into the color (in the window from Add borders) you can see the foreground - and background color and change it if you want to. You will get a report now, that the layers will be merged. You can just click yes. Click with your magic wand in the green border. Adjust - sharpen - sharpen. So, this was the first lesson. I hope you enjoyed my tutorial and that I explained everything well enough.